This is the first drawing I've finished in a while. Unfortunately, a great deal of the detail in the fingers is not visible because of my scanner, and the binding of my sketchbook. Despite the quality of the scan, I'm fairly pleased with this drawing. 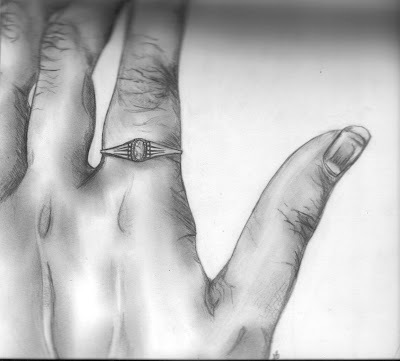 It's just the product of having a sketchbook, mechanical pencil, and rather uneventful sociology class.